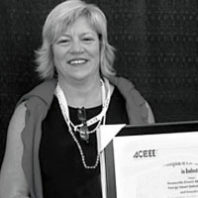 After 30 years of shepherding environmental and energy efficiency projects around the Northwest, Jennifer Eskil ’81 retired last spring with accolades. Her employer, the Bonneville Power Administration, certainly recognized her achievements. BPA Administrator Elliot Mainzer presented the Walla Walla resident with the agency’s highest honor, the BPA Meritorious Service Award. Eskil received the distinction during the U.S. Department of Energy’s 2017 awards program in March. The award recognizes individuals who have made extraordinary contributions to BPA’s mission through excellence in their chosen field for 10 years or more. Eskil was the industrial and agriculture sector lead in energy efficiency. 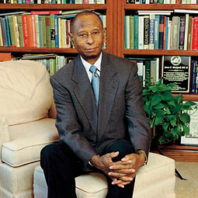 African American sociologists who graduated from WSU have made a significant mark on sociology, academia, and the lives of black Americans. 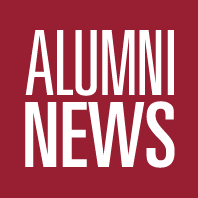 Each year, the WSU Alumni Association acknowledges alumni and volunteers who have made significant contributions to their professions, their communities, the world, and the University. The WSUAA Alumni Achievement Award was created in 1970 and of the nearly quarter of a million people who have attended WSC/WSU since 1890, only 495 have received it. One of the most successful partnerships in WSU history began in failure. It was the spring of 1975, Kansas State University. Guy Palmer was given a piece of ore in an analytical chemistry class and told to figure out how much nickel was in it. He got it wrong, earning an F.
Washington State’s Rien Long proved to be more than a “West Coast wonder.” The 6-6, 286-pound defensive tackle earned the Outland Trophy as college football’s top interior lineman for 2002. “He put us on the map tonight,” coach Mike Price said of the junior from Anacortes. They attended the College Football Awards Show together December 12 in Orlando, Florida. Long’s defensive prowess was recognized earlier in the season. He was picked to a number of All-America first teams, including those of the Associated Press and the Football Writers Association. His regular season statistics included 20.5 tackles for loss, 13 sacks, and three pass deflections. Washington State University alumnus Brad Rawlins has earned one of the nation’s top scholarly awards in public relations. 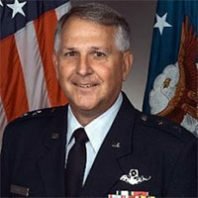 Rawlins’s research examines ethical practice in public relations, especially moral decision making. He hopes to use concepts such as authenticity, accountability, and responsibility to show the need for transparency in communications. Seth Lake of Olympia mimicked the fetal position he reverted to the day his roommate’s family met him for the first time, shivering under a hat, coat, and blanket on the couch, sicker than a dog. A hungry John Leraas, also of Olympia, overspent his dining plan the first half of the semester. Limited to eating on $6 a day, he bought a rice cooker and skillet to supplement his meals. Mariah Maki of Washington State University Admissions, seated next to Leraas, passed him her plate of hors d’oeuvres.